Panasonic, has unveiled a 3CCD high-definition (HD) consumer digital video cameras HDC-DX1 that record 1080i HD images in the new AVCHD format. Panasonic HDC-DX1 model uses 8-cm DVD discs, providing multi-format compatibility supporting DVD-RAM/-R/-RW and DVD-R double-layer (DL) discs. The Panasonic HDC-DX1 support the AVCHD format, an HD digital video camera recording format Panasonic developed with Sony .This new format enables recording and playback of high-resolution digital images. The Panasonic HDC-DX1 features 5.1-channel surround sound with five microphones, making viewers feel like they are truly a part of the scene. The microphone system has a zoom function. As the camera zooms in the subject, the microphones simultaneously zoom in and pick up the sound around the subject in the distance. 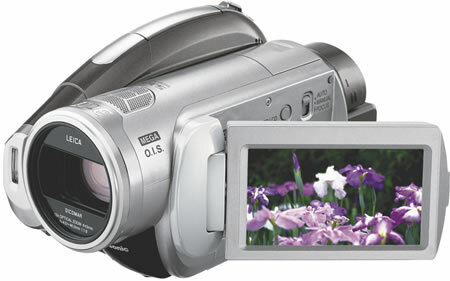 The digital video cameras feature a newly-developed 3CCD imaging system designed particularly for HD shooting. The new system provides a higher color resolution which is more than double the resolution of conventional image sensors and therefore produces more vivid and true-to-life images than ever before. The high-sensitivity feature of the camera also allow for shooting in poorly-lit situations – for example, as low as six lux.The newly developed Panasonic HD Crystal Engine processes images twice as quickly as progressive scan CCDs. 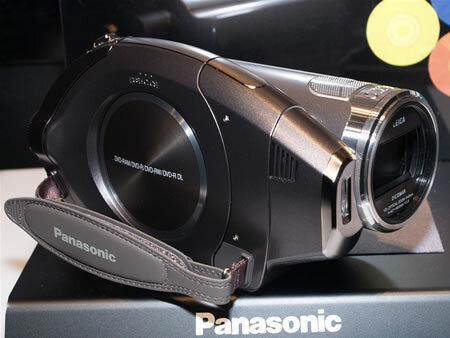 The new Panasonic digital video cameras HDC-DX1 is equipped with a new compact 12xoptical wide-angle (F1.8 – 2.8) Leica Dicomar Lens and is packed with Panasonic’s “black-box” technologies to set a new standard in HD video recording. 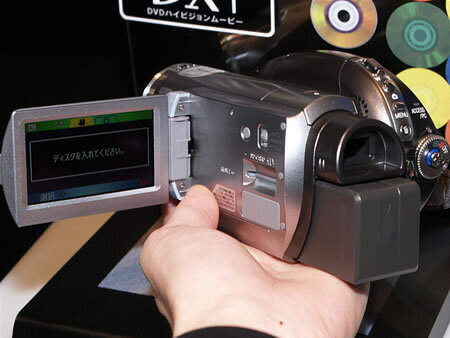 The Panasonic HDC-DX1 camera measures 92×163×91mm and weighs approximately 800g (inclusive battery and DVD media).The silver colored Panasonic consumer digital video cameras HDC-DX1Bundled with 4GB SDHC memory card will be available from December15th for approximately 160000 Yen ($1360).